Beauty and culture combine in Vienna attractions befitting its reputation as the crown jewel of the historic Hapsburg Empire. Be sure to enjoy the marvelous mix of old and new Vienna attractions when you visit this storied city. 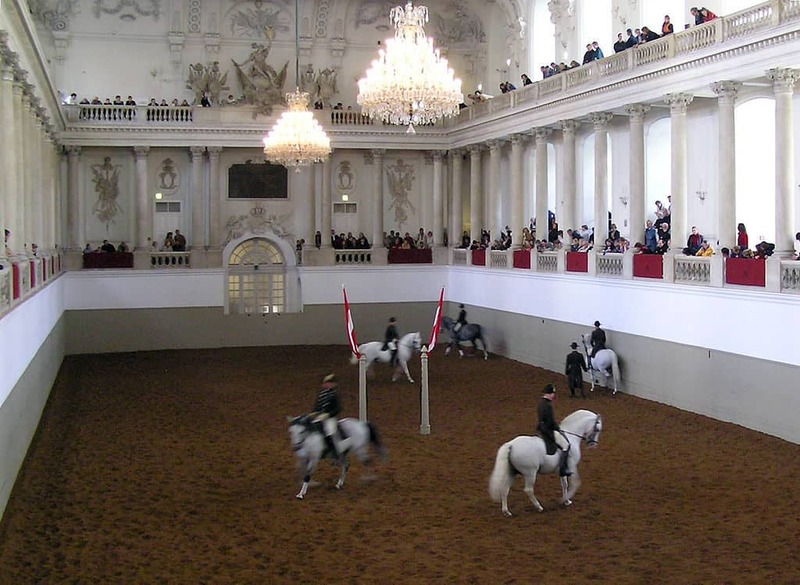 Visit a Vienna bakery, ride the giant ferris wheel in Vienna, take a Lipizzaner stallions tour at the Spanish Riding School or visit one of the palaces in Vienna Austria. This Vienna blog post will help you get the most from your time in Vienna. Often labeled as Europe’s “cultural capital,” Vienna is a metropolis with charisma, vivacity and style. With infrastructure and architecture that can only be described as “candy for the eyes,” Vienna attractions reflect its exquisite attributes, too, in a marvelous mix. Also known as the Fine Arts Museum, this immense building connects to the Imperial Palace and is one of the best museums in Vienna. The gorgeous architecture surrounds one of the biggest collections of fine art that was collected by the Royal family over the centuries. Be sure to set aside plenty of time to explore this beautiful place with art from classic artists such as Rembrandt. Check out these inexpensive four and five star Austria museum tours. Whether or not you’re a horse lover, the lipizzaner stallions in Vienna is one of the most popular Vienna tourist attractions, and we can assure you it will be fun for the entire family. The famous Lipizzaner stallions who are versed in the classic art of dressage. The lipizzaner horse show will entertain and amaze you. After watching the performance, you are encouraged to take a Spanish riding school tour of the stables where the horses are cared for. You can find Spanish Riding School tickets here. But if the price of the performance ticket is too dear, you can opt, as we did, for the more reasonably priced Saturday Morning Exercise with Music, which was a fine spectator experience in the historic arena. The lippizaner horses breed came from six Lipizzaner stallions and all Lipizzaner horses came from these six. If you enjoy amusement parks, this is the place for you. With over 250 attractions featuring haunted houses and thrill rides, there are over 6,000,000 square meters of excitement for you to explore and enjoy. Be sure to ride the famous Wiener Riesenrod, the giant Prater ferris wheel, where you can experience the beauty of Vienna from up top. This isn’t just any Vienna ferris wheel as it uses compartments or small rooms with chairs and tables rather than seats. 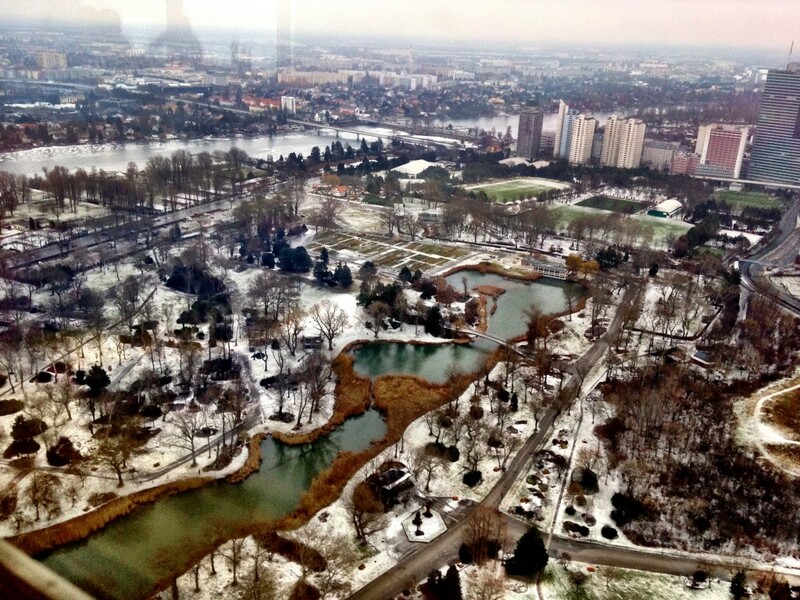 You can even have a romantic candlelit dinner for two as you take in the view of Vienna at night. 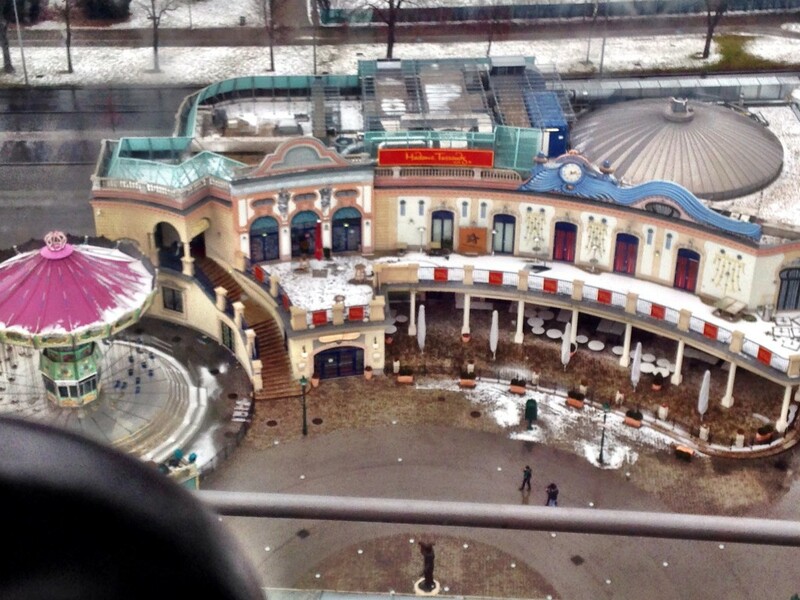 This is the amusement park featured in the 1948 film noir classic, The Third Man, starring Orson Welles. Tip: Across the Donaukanal (the alternative waterway canal to the main Danube River) from The Prater Park lies the Kunst Haus Wien museum and exhibition venue. Designed by Frederick Hundertwasser, its modernist, quirky esthetic is a wonderful counterpoint to the Baroque and Neo-Baroque wedding cake architecture which dominates the city. The museum is dedicated to Hundertwasser’s credo that architecture “should elevate and not subdue man.” Click here for Kunst Haus Wien museum tickets. 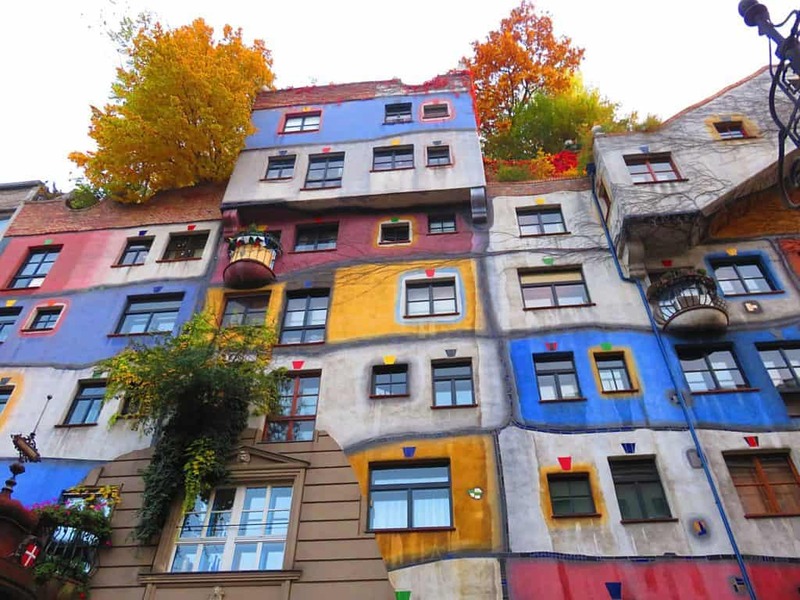 Hundertwasser House, a colorful apartment complex he designed, is nearby. If you are in the mood for a sweet treat then do not miss Demel Bakery. The favorite of Empress Sisi, Demel Bakery has been in business since 1786 and used to deliver delicacies to the Palace daily. 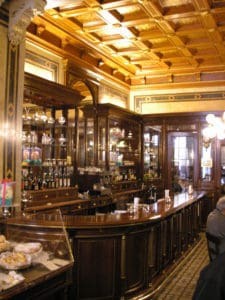 Designed in the neo-Baroque style, the interior looks much like it did in the days of serving the Royal family. One of the famous cake bakers, the cafe’s real claim to fame, however, is its feud with the Hotel Sacher over the “Original Sacher Torte.” According to the lore, Eduard, the son of Franz Sacher, refined his father’s recipe and brought it to the Demel Bakery where he worked after the Hotel Sacher’s bankruptcy in the 1930s. New owners of the hotel began to sell Sacher torte beginning in 1938 under the trademarked name. World War II interrupted the dispute, which was resumed in the 1950s and was finally settled in 1963. The Hotel Sacher gets to use the name “Original Sacher Torte” and Demel gets to use a triangular decoration with “Eduard-Sacher-Torte” on top. If you would like to learn more about Demel Cafe Vienna heavenly treats, you can visit the museum located in the basement. If you are into food (and who isn’t), this 4-hour walking tour of Vienna food might be for you. 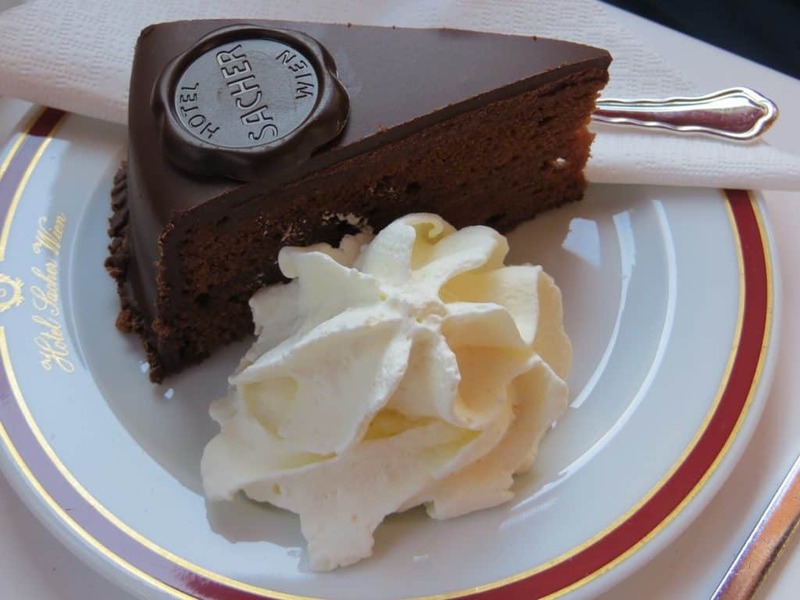 Tip: All this sightseeing is sure to whet your appetite for the Vienna Sachertorte. If you’d prefer to try the original Vienna torte, it can be found at the historic Hotel Sacher in the City Center. Whether you choose Eduard’s version at the Demel Bakery or the Hotel’s, don’t miss this decadent classic dating from the 1830’s! Also known as The Ring Vienna, this boulevard loops around the center of the city. It is an interesting way to see the city if you like to walk and get a feel for the atmosphere and stately architecture. You can walk to Parliament, Town Hall, and the Vienna State Opera. You will find a good variety of Vienna walking tours here. If you would rather rest your feet, you can take the Vienna Ring Tram. We found it convenient to stay on Kaertner Ring, adjacent to the opera, in the magnificent, historic Hotel Bristol (see our review, here). One of the most popular top attractions in Vienna, this is a vast baroque style palace that is surrounded by beautifully maintained grounds. 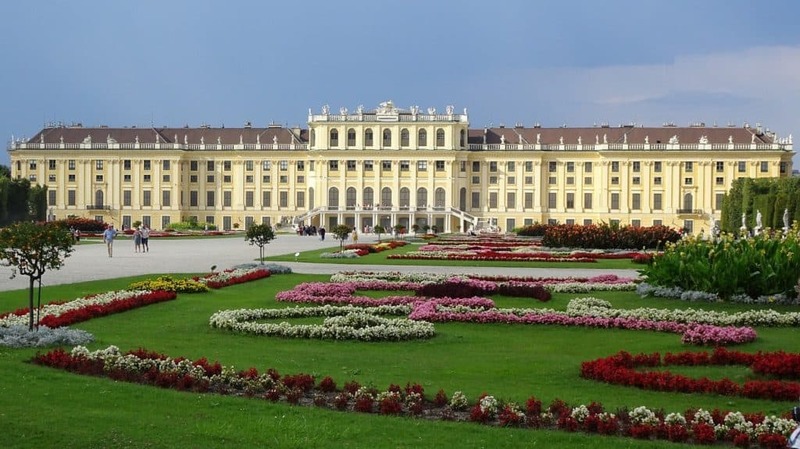 Used as a summer palace Vienna for the Imperial family, it has lavish state rooms and is finely appointed. Be sure to tour the gardens that surround the palace, they are a photographer’s dream! For Schonbrunn palace tickets that let you skip the lines use the button blow. Recommendation: For a superb, personalized experience in the Vienna lifestyle, you can’t beat the services and customization of a private tour. Cover the very best of Vienna’s historical and artistic heritage with your own guide and driver on this Private History and Art Tour of Vienna. Decide for yourself where you want to spend your time from this list of locations: Ringstrasse Drive, Imperial Palace, Heroes’ Square, UN buildings, Danube Tower, Prater Amusement Park, St. Charles Church, Schoenbrunn Palace, Belvedere Palace, Hundertwasser Haus, Naschmarkt. Pickup and return from your hotel by professional chauffeur, licensed Austrian tour guide, preferred admission to Schoenbrunn Palace, flexible route. Also called Danube Island, this is a man-made 13 mile-long structure that was originally used to protect the city from floods. There are tons of recreational activities that you can engage in as well as plenty of food and drink options. If you visit during June, be sure to take part in Donauinselfest, a Donauinsel festival with live music, cultural events and more! We love the Hop On Hop Off buses and Vienna’s include Donauinsel among many other stops. 8. St. Stephen’s Cathedral St. Stephen’s Cathedral is one of the most well known Vienna attractions and is nestled in the heart of the city. As one of the most photographed structures in Vienna, it is pictured on many postcards. Housing 18 altars and 23 bells, it simply stunning. 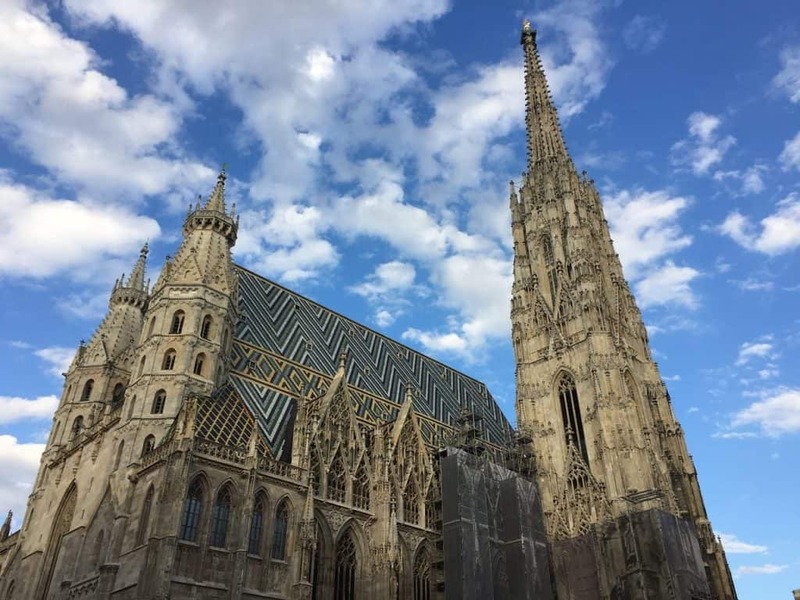 You can enjoy the spectacular architecture of the main cathedral, or if you are feeling a little adventurous, explore the St Stephen’s Cathedral Vienna catacombs underneath. 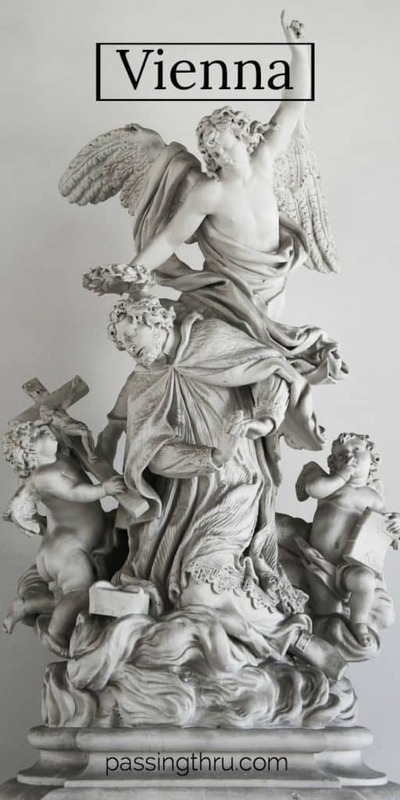 Check out this inexpensive St. Stephen’s Cathedral: Audio Guide, Tower & Catacombs Tour..
9. Albertina Vienna There is never a shortage of Vienna museums and art. Albertina is another must-see museum that houses a vast collection of beautiful art. It boasts having the Batliner collection which changes intermittently. They also have temporary collections by current artists. Save 20% with this 4.5 star rated tour. 10. The Belvedere Palace Vienna The Belvedere Palace in Vienna is so sprawling that it is divided into four parts known as the upper and lower Belvedere, the Orangery, and the Palace stables. Tour Prince Eugene’s living quarters which have been preserved in their original state. The stables of this winter palace in Vienna house one of the most extensive medieval art collections to date. Be sure to visit the Belvedere gardens. Set aside some time, as the scale of the palace dwarfs other Vienna attractions. Skip the line with this highly rated tour. Vienna is a perennial destination for visitors who are drawn to its Old World magic, stunning architecture, art and cultural treasures, and courtly hospitality. We hope you enjoy your visit and found our list of must see Vienna attractions helpful! If you are looking for where to stay in Vienna, the button blow will give you a good start. 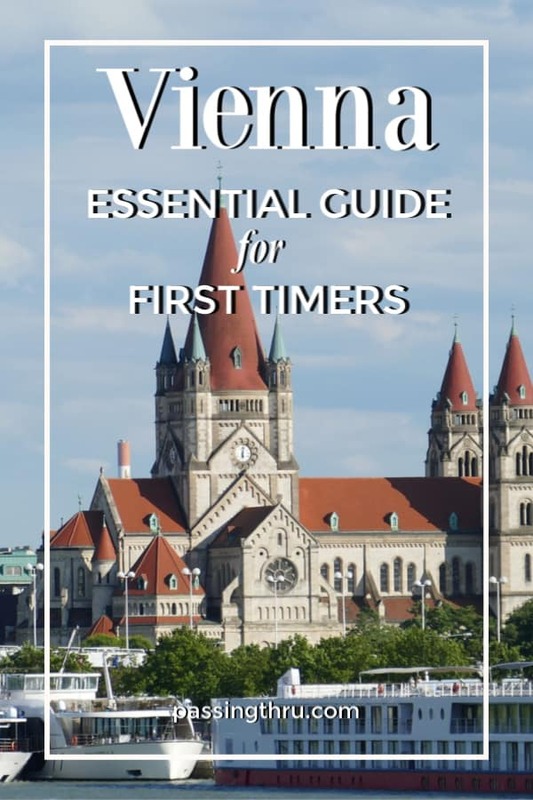 For more great ideas to help you with planning your trip to Vienna, have a look at the curated items in the Travel Essentials section in PassingThru’s Amazon Store. I’d add the Hofburg Palace, including the relatively new Sisi Museum. Sisi can best be described as the Princess Diana of her time—not an exact comparison, but definitely some intetesting parallels. It’s very close to the Spanish Riding School. 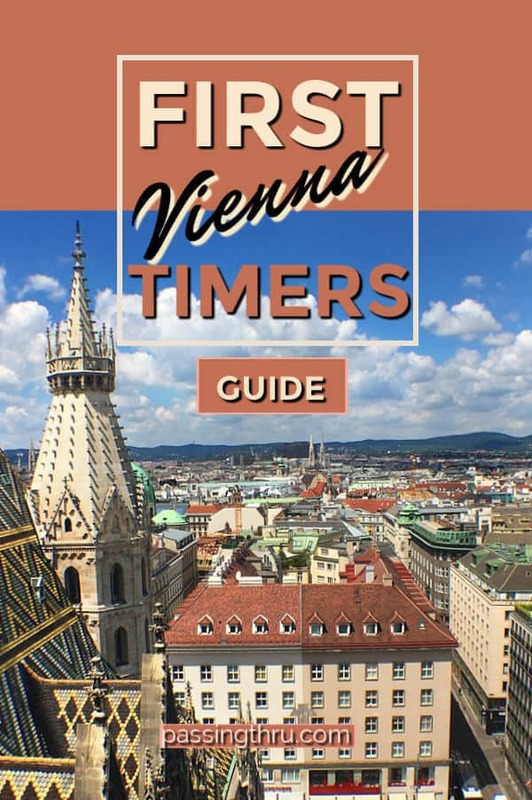 Great post and a summarized starting point for someone visiting Vienna for the first time. Loved reading it. Hi Sumit – thank you so much! This is a great guide, thank you! I’m heading to Vienna next week and this is a great inspiration!